When it comes to your baby, you want nothing but the best for them! 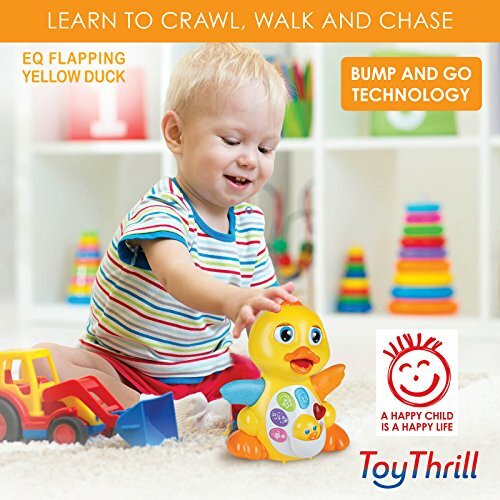 Here at ToyThrill, we take a lot of pride in presenting loving parents with fun and educational toys for your toddler to enjoy. The Musical Duck Toy is the perfect little plaything that will stimulate various of your child’s senses to promote a happier and healthier development. In the early years of your baby’s life, your baby soaks up so much information in order for it to develop its various senses. 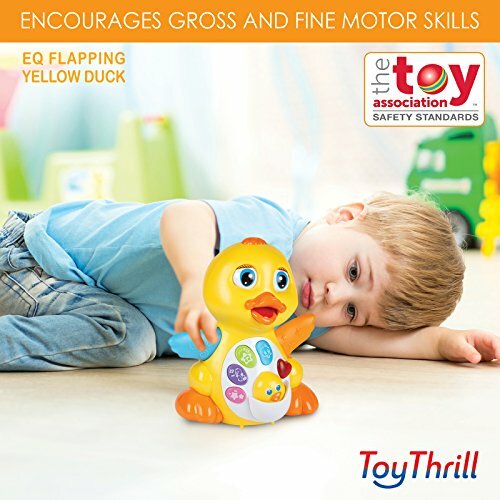 Exposing your babies to toys that stimulate all sorts of senses is exactly what ToyThrill thrives on! 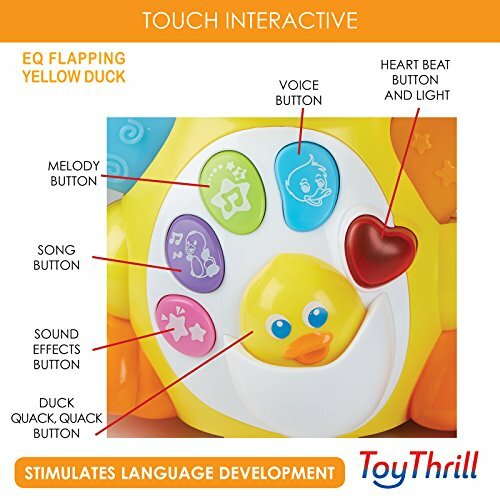 Our Duck Toy is an amazing plaything for your toddler to get a grasp on the many aspects of growth it needs – auditory senses, visual development, color, music, balance, movement, animal sounds, and more! 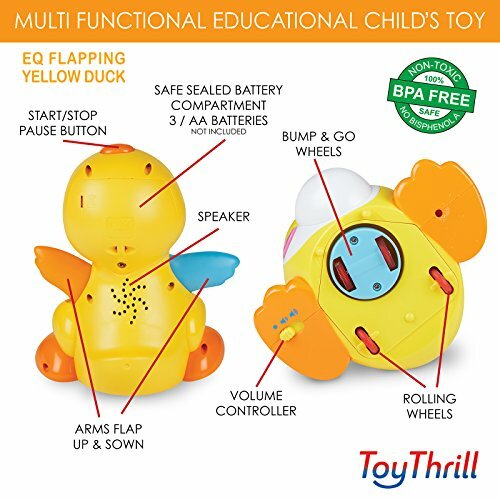 With our Duck Toy, you will find your baby extremely enthralled each and every day before and after nap time so it can get the education it needs to grow. 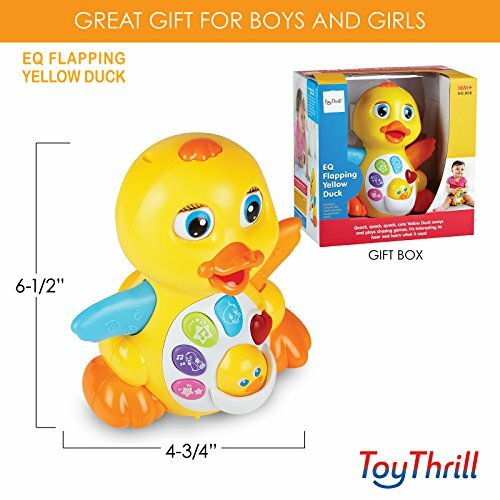 Whether it’s a child of your own, a nephew, niece, neighbor – any toddler will be completely captivated by our Duck Toy! Make it a great holiday season any baby in your life and deliver them the gift of laughter and learning with ToyThrill! 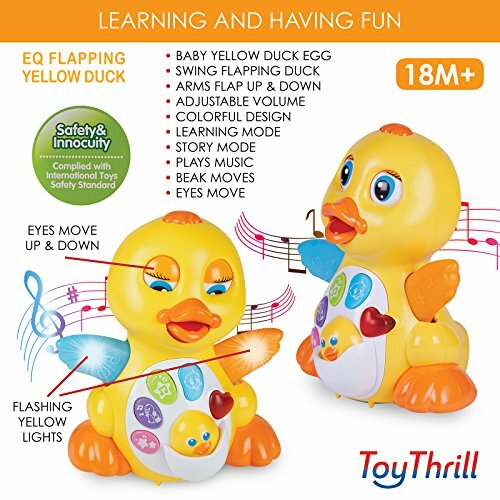 Get one today and watch your baby blossom into the healthy child they’re meant to be!STIMULATE BABY’S GROWTH: The best fun your baby can have is through learning and growing – the musical duck will keep your child happy through his or her early development stages! 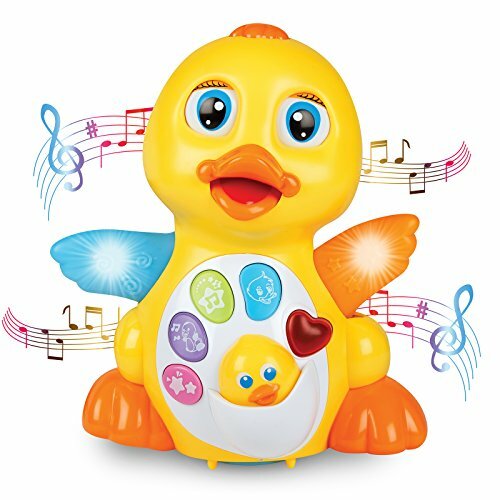 PLAYS FUN MUSIC: So many different songs come out from this duck, your baby’s auditory senses will develop quickly and healthily – music teaches your child about rhythm and animal sounds. VIBRANT COLORS: From the duck’s eyes, to its wings and body, it is highly visually stimulating showing your baby a bunch of colors and lights – your toddler will learn about colors and have fun!